This old Aarstiderne box was found in a customer's garden shed when she moved into her new house. Thanks to Heather Davidson-Meyn at H2Ophotography for the photo. If you're going away this summer, don't forget that at any time you can put your Aarstiderne box subscription on hold. Did you know that its also possible to take your box with you on holiday? 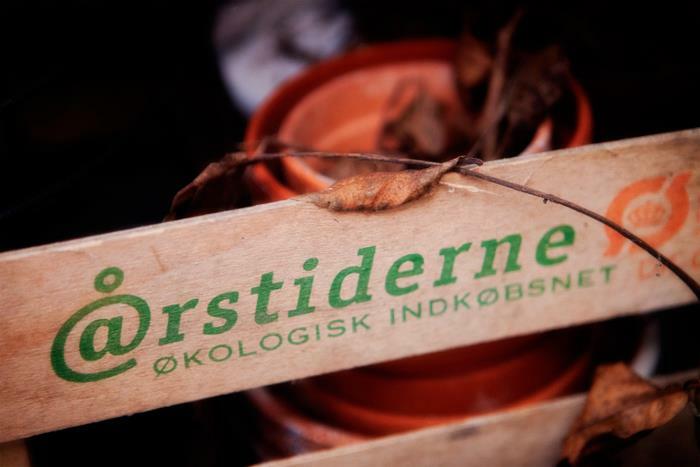 Aarstiderne will deliver to your holiday address in Denmark over the summer but don't forget to check the delivery day at your holiday destination though, as it might be different to the one you're used to at home. 1. Go to www.aarstiderne.com and log into your account. 2. Click on 'Ferieoversigt' on the right hand side. 3. Select your holiday start and finish dates. Both dates are inclusive. 4. If you would like to take delivery at your holiday address, choose option 'ja' under 'Tilføj ferieadresse' then enter your holiday address in Denmark. Be aware that the delivery day may be different at your holiday address. 5. Click on 'Opret ferie'. 6. You will then receive an email confirming that your holiday has been registered and your box subscription re-directed.